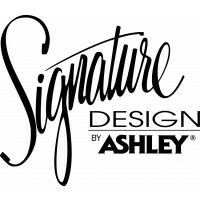 With a sleek contemporary low profile design fully upholstered in a rich woven fabric, the "Upholstered bed" collection offers a variety of looks that will comfortably fit into any bedroom décor to create a stylish inviting atmosphere. Wood framed beds fully upholstered in woven fabric. Low profile footboard design. B600-154/156/157/158/194 are box framed in light brown fabric. B600-254/256/257/258/294 are side framed in a beige fabric. B600-354/356/357/358/394 are nailhead in a dark brown fabric. 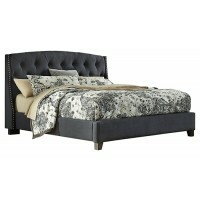 Headboard can be set-up alone with bolt-on bed rails (B100-31 or B100-66). B600-454,456,457,458 has thick arch shaped and canted headboard framed three sides with nail trim and platform style footboard upholstered in a dark gray textured fabric. 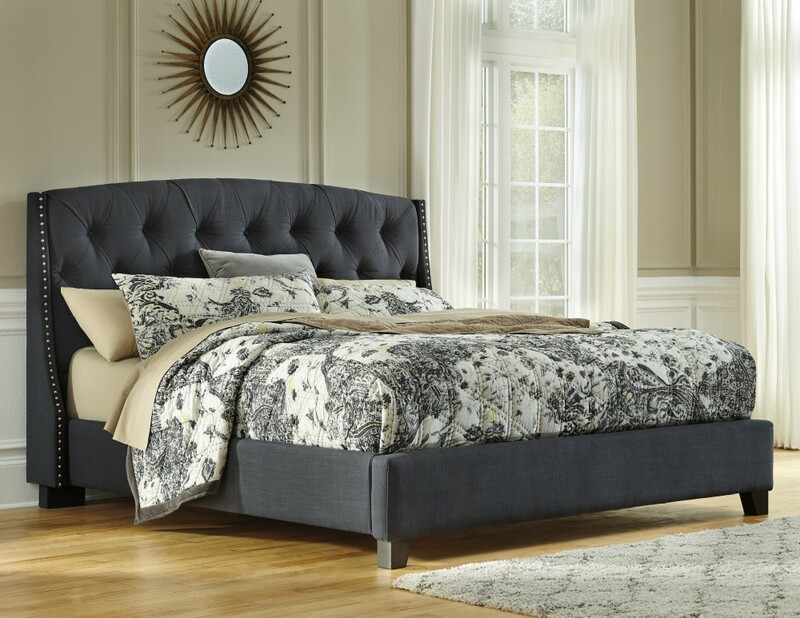 B600-554,556,557,558 has nail trimmed tapered wings framing a hand pleated button tufted headboard and a platform style footboard all upholstered in a dark gray textured fabric.